Tackle the menu by sharing a bunch of starters. Opulent Thai restaurants are rare in the Western Hemisphere, but Atlanta now has two. 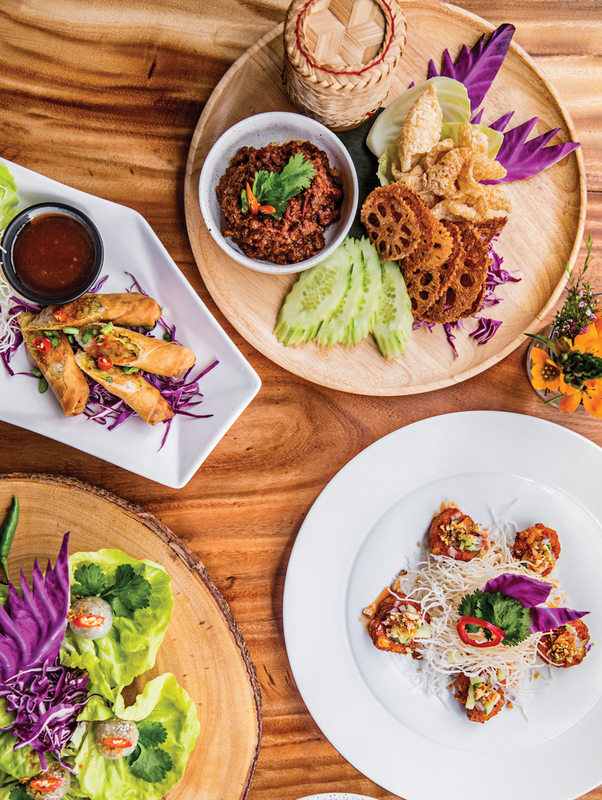 Chai Yo, the new Buckhead hotspot from DeeDee Niyomkul, is next-­generation Thai, more intimate and less conventional than Nan Thai Fine Dining, the Midtown palace owned by her mother. Located in the bougie alley behind the St. Regis, Chai Yo is a godsend for Buckhead scenesters famished for glam new haunts. And its food is as ambitious as its design. 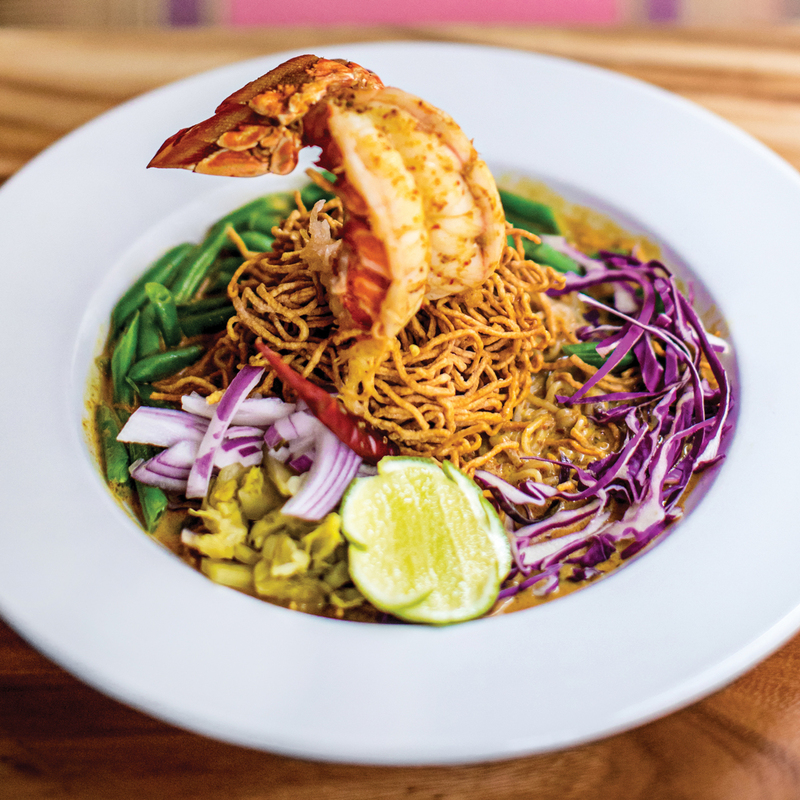 The menu takes us far beyond rote Thai dishes; excessive heat and massive sweetness—the Scylla and Charybdis of many a Thai meal in Atlanta and elsewhere—are never an issue. Plating is artistic but unfussy, and the kitchen brings modern culinary techniques to classic dishes in a way that’s masterful without being gratuitous. New York–born Niyomkul didn’t go to culinary school, but she learned plenty from her immigrant parents, Charlie and Nan Niyomkul, who brought us Tamarind, its replacement Tamarind Seed (currently on hiatus in redeveloping Colony Square), and the splashier Nan. In 2010, DeeDee opened Tuk Tuk Thai Loft in South Buckhead, an ode to Thai street food and a kid sister of sorts to Nan and Tamarind Seed. With Chai Yo, she emerges from her parents’ shadow and forges ahead in a scene where authenticity matters less than creativity and chutzpah. Tip: Split this insanely rich lobster tail with a friend. The best strategy at Chai Yo is to get a little party going by sharing as many starters as possible, which allows time to admire each dish’s complexity and painterly beauty, then splitting an (expensive) entree. Nam prik ong, a sort of Thai dip consisting of finely ground pork pounded with roasted tomatoes, garlic, shallots, and fragrant shrimp paste, is fun to scoop with lotus chips, pork cracklings, cucumber, or cabbage, or to dab with a morsel of the sticky rice that arrives in a traditional straw basket. You’ll notice many distinct textures—and evidence of fancy knifework—in dishes such as pleasantly sticky tapioca dumplings filled with minced shrimp, chicken, pickled relish, and cilantro root and topped with crushed peanuts and crunchy garlic; a refreshing octopus salad with plenty of lime and chilis; and cabbage and chicken larb thickened with roasted jasmine rice powder and spiked with just enough palm sugar to balance its acidity. Among the entrees, the more unusual offerings are also the best: darkly mysterious duck leg (ped palow) stewed with cinnamon, anise, cardamom, cloves, garlic, and cilantro root; beyond-tender sous vide beef cheeks with green beans and organic Brussels sprouts in a silky panang curry; and an insanely rich lobster tail in a sleeve of egg noodles, propped like a beached mermaid on a bed of yellow curry noodles that sits atop shallots, pickled mustard greens, green beans, and red cabbage. High-rollers can splurge on a sliced, dry-aged ribeye with jicama slaw (a riff on papaya salad) while mere mortals can sit at the bar and split the $28 pad thai, seasoned with tamarind pulp and served street-food–style on a thin egg crepe heaped with glass noodles, jumbo prawns, tofu, peanuts, pickled turnips, and garlic chives. If you have plenty of money and little desire to make decisions, the chef’s table ($115 per person, six-person minimum) provides a half-dozen courses and ample face time with Niyomkul. Beverage manager and main barkeep Tim Faulkner, known for his subtle, levelheaded drinks since his days at Lusca and 8Arm, works with little-known ingredients such as a butterfly pea flower tea that changes color from indigo to purple when combined with citrus and vodka in a cocktail called Nam Dok (Thai for “flower water”). You can trust him to create surprises at every turn, as evidenced by a Mai Tai reborn as a blend of pear and apple brandies, housemade peanut orgeat, lime juice, and curaçao. The kitchen hood is the only visible remnant of the former occupant (a J. Christopher’s) in a space divided into many nooks and outfitted with acacia wood that Niyomkul brought back from a trip to Thailand. Designer orbs of golden light, neutral-toned leather, and silk pillows create a serene and sophisticated mood. 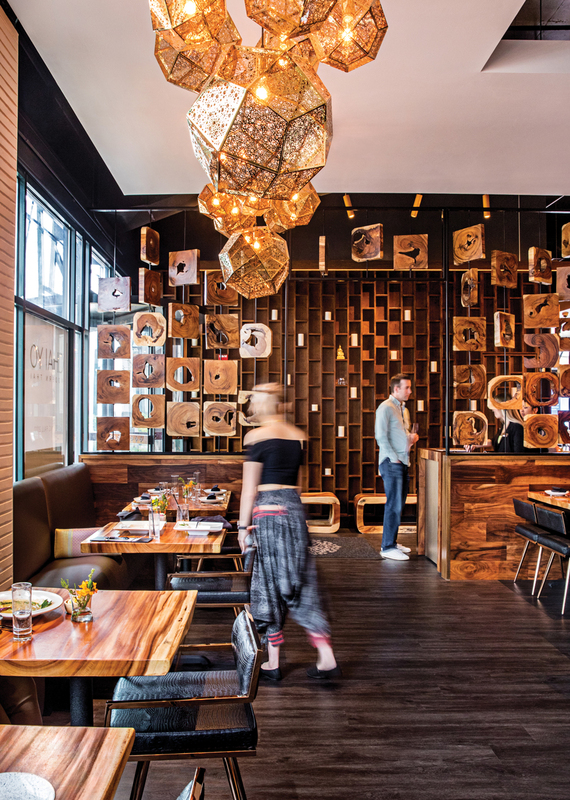 Chai Yo (“hooray” in Thai) is a fitting name for a restaurant that feels celebratory and warm. Bravo to the second-generation female chef-owner for flawlessly merging luxury and modernism with authenticity and tradition. This article appears in our May 2018 issue.